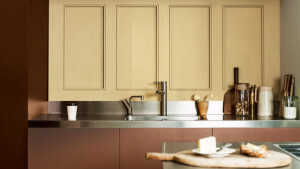 Amongst the paint colours of 2015, was one that Dulux named “Colour of the Year” and that was Copper Blush. 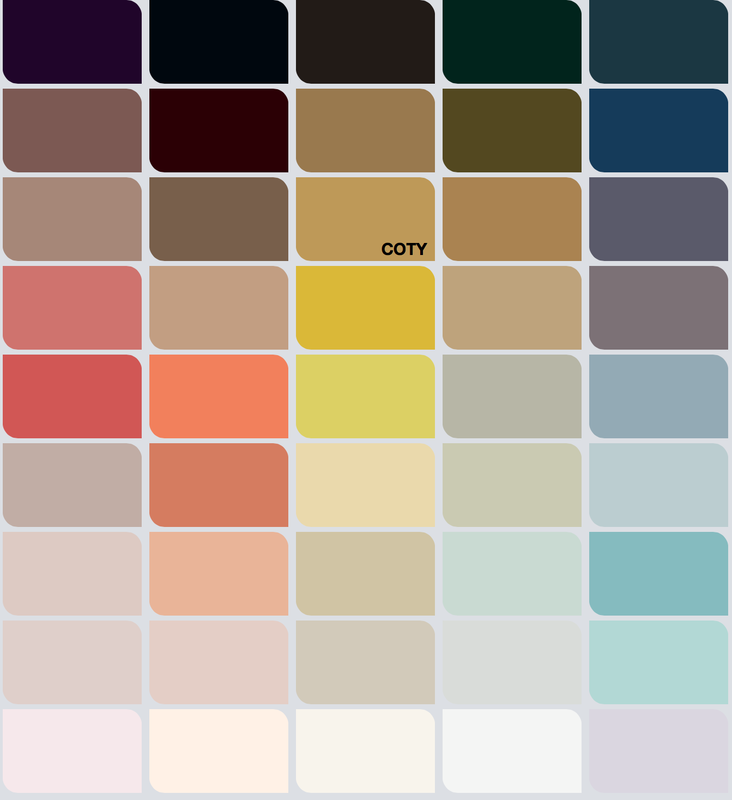 While 2015 isn’t quite over yet, Dulux are already looking ahead to the next big thing in interiors and design and have recently launched Colour Futures 2016. 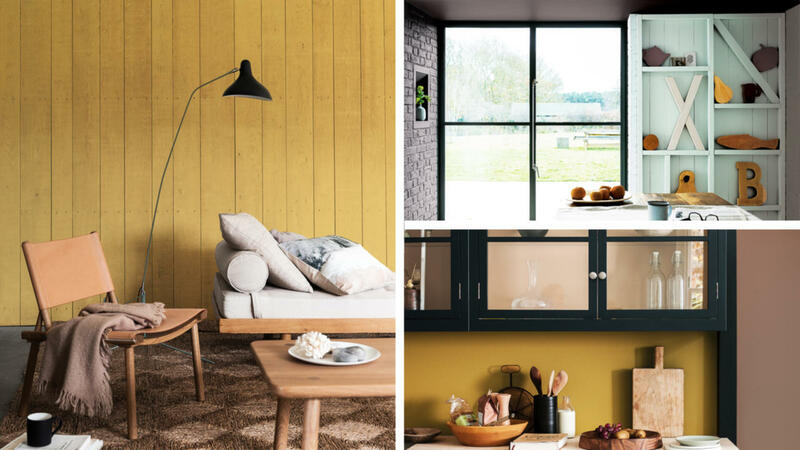 This is their overview of global trends that include striking colour palettes, new decorative paint effects and innovative colour combinations to use in the home. The new paint colour for 2016 is Cherished Gold. Next year’s chosen shade is an evolution from this year’s shade, Copper Blush, and ties into the ongoing trend of using metallic tones in the home. Warm and subtle, Cherished Gold pairs equally well with fresh pastels and rich jewel tones alike. Whether you live in a new-build or a period terrace, the shade’s earthy quality means it’s a great hue for any type of space. 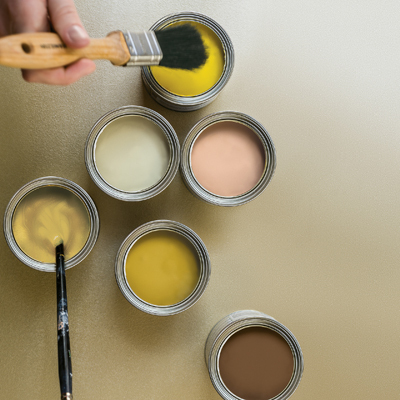 To make it even easier to use, Dulux have teamed Cherished Gold with a selection of coordinating paint colours to bring extra sparkle to your home. 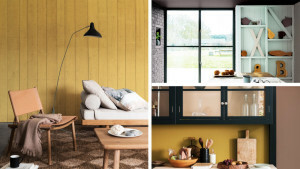 The trends that Dulux have captured for the upcoming year are below. Which ones do you think you’ll bring into your home? Typography and graphics are finding their way off the page and posters and directly onto walls themselves in this trend for 2016. Words & Pictures is all about using lettering as decorative motifs – whether that’s a single oversized letter painted on a wall, or a handwritten message on a chalkboard wall. In keeping with the idea of letters and type, the paint colours for this trend range from graphite grey to biro ink blue. 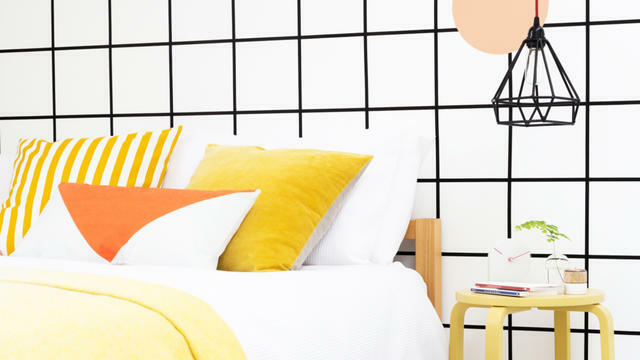 Playful pastel shades are mixed with more sombre black and white in The Grid & Letting Go. This trend features some beautiful paint colours and effects that merge the geometric and the random, such as giant confetti-walls, trompe-l’œil tiles and tessellating triangles. Inspired by the idea of ‘going off-grid’ in reaction to our packed schedules and diarised daily lives, it celebrates structure and organisation – and the fun that can be had when we rebel against it! Fun and quirky, it’s a sure-fire way to inject energy into your spaces. 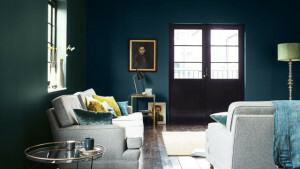 Dark & Light is a celebration of darkness – deep petrol blue and rich green paint colours are teamed with their paler counterparts for a look that’s high on drama but remains contemporary and fresh. This trend was inspired by the recent interest in embracing the dark – from stargazing to switching off our screens and getting a better night’s sleep – and shows that dark needn’t be scary where decor is concerned. The idea of mixing of old and new is ingrained into our lifestyles now, from wearing vintage clothing with high street buys, to decorating with second-hand furniture and designer fabrics. The importance of looking at our past for design cues is at the heart of the Heritage & Future trend. This elegant and timeless look nods to bygone eras through rich reds and muted clay paint colours. These are given a contemporary flavour with crisp stripe effects and the combination of contrasting materials and textures, resulting in a look that’s confident and eclectic. 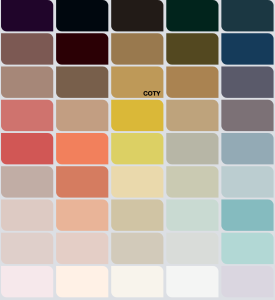 The colour palette for paint colours in 2016 is below, with Cherished Gold highlighted with COTY. 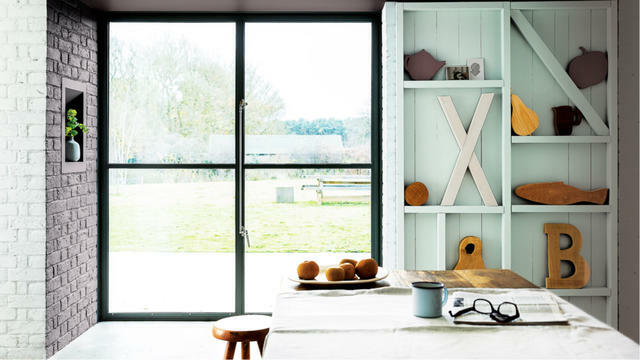 Go on, be totally on trend and use these paint colours now!